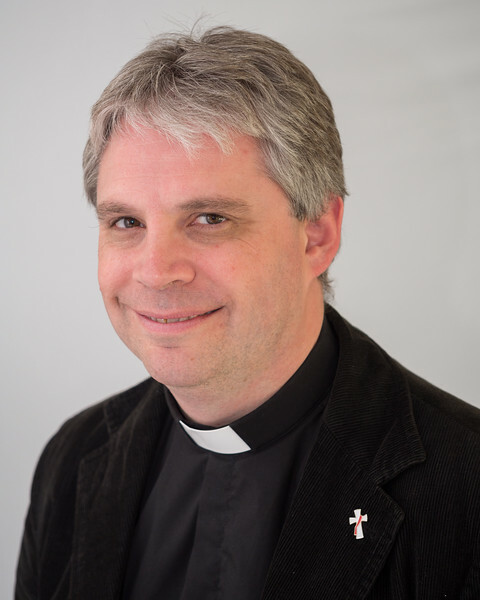 It has been announced that the Reverend David Bowles has been appointed as the new curate of the Parish of Douglas Union with Frankfield in the Diocese of Cork. The Venerable Adrian Wilkinson, Archdeacon of Cork is the rector of the parish. David will commence his ministry here in Cork on 1st September next as a Deacon and then, on St Fin Barre’s Day, Friday, 25th September, at 7.30 p.m. he will be ordained to the priesthood by the Bishop in St Fin Barre’s Cathedral, Cork. David is from Blackrock, County Dublin. He grew up in St Brigid’s Parish in Stillorgan and attended Newpark School in Blackrock. He then went to DIT Cathal Brugha Street, to study Hotel Management and trained in the Kensington Hilton in London for a year. On his return to Dublin he studied ACCA and has worked in accounts ever since. He has spent the last 9 years working for PML Group. David is Married to Michelle and has two children, Harry (6) and Hannah (5). David studied part-time for his Masters in Theology, (including the foundation course) over a period of seven years as circumstances did not enable him to take the full-time route. For the last two years he has been a Deacon in Taney Parish in Dundrum, in Dublin, serving part-time in an internship. He enjoys reading, playing badminton, golf, scuba diving and also amateur dramatics. He was a Cub Scout leader for 12 years. I’ve had tremendous support from Michelle and my family throughout my journey towards ordination, and also from my employers PML Group. I’ve thoroughly enjoyed my time in Taney Parish but am now very much looking forward to beginning in full-time ministry in Douglas Union of Parishes. Spreading Christ’s Word is a passion for me and that will be my focus. Ministry, to me, is about involving others; everyone, young and old has been given different gifts which, with encouragement, can enrich their own lives and the life of the Church and parish. This entry was posted in Announcements, Appointments, Ordination. Bookmark the permalink.